An Online Manual Handling Training Course from just £4.99. This is a mandatory health and safety training course for all UK employees and is the employers legal responsibility to provide it. On successful completion, your manual handling training certificate is valid for three years. As well as your certificate of achievement, why not download our free Manual Handling Poster HERE to use and display at your workplace? Because this manual handling course, teaches you risks and hazards and the importance of correct handling techniques. Because this course may save you from short term and long term injuries. Because if its ease of use and intuitive learning platform. 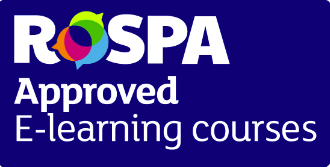 Because the training certificate conforms to UK and EU legal requirements and matches the CIEH Level 2 Syllabus. Here's some more great news about our online manual handling course. This manual handling course is designed to show people the importance of thinking and assessing before carrying out tasks. It’s not just designed to meet employer’s legal requirements, but to teach people what happens when things go wrong and how to avoid bad practices. Many people think that manual handling is lifting a heavy object. This is not the case and this course is designed to show people how handling light objects with poor posture can affect their health. Special attention is given to how the spine and back works, how to maintain safe handling postures and avoid injury. The training course is designed to give employees the right practical techniques to handle loads correctly, protecting both the employer and the workforce. To give employees a basic understanding of what The Manual Handling Operations Regulations 1992 are, and why they were introduced. To let candidates, know that over a third of all workplace injuries are a result of poor manual handling and how these injuries can be avoided. To instil the importance of correct handling by letting candidates know accident rates and types of injuries sustained. To give candidates good foundation knowledge on handling assessment and control measures. To teach the correct lifting and handling techniques. To show how lifting or holding a relatively light object can be incredibly damaging if the lift is carried out incorrectly. To evaluate the importance of choosing the correct mechanical aids if required, knowing their safe working limits and the basic visual checks to carry out before use. To teach postural awareness, how the spine works and how injuries can occur.